with fenced garden and parking in front of the house is located on cadastral quiet mountain town Svoboda nad Úpou on the sunny side. This small town is the gateway to the Krkonoše mountains are a possible star hikes along mountain ridges. The railway station and bus station is 250 meters away. The town's many restaurants where you can eat, shops, travel agency, lend company bicycles and skis, bowling and wine. 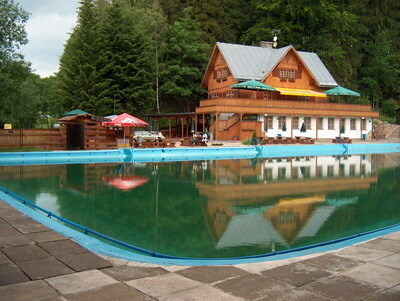 Sunny home is a three-storey building 6 + 1, ideal for 6-8 persons. Thanks ext but can accommodate up to 10 people. (4x double bed plus 4 extra). There is an entrance hall with hangers, storage space and toilet. The corridor is open to the kitchen (corner sofa, chairs, a fully equipped kitchen). In 2015 it was installed a new electric oven and ceramic hob. Fully equipped with dishes. Lounge has two tables, 8 + 2 chairs, large sofa, wardrobe, secretary, flat colored TV / SAT and WIFI connection. There are two bathrooms, one with shower and one with bath, and 2 toilets. Heating is hot water pipeline, ensuring a seamless heating in the winter months and heating during the cold spring / summer / autumn days. 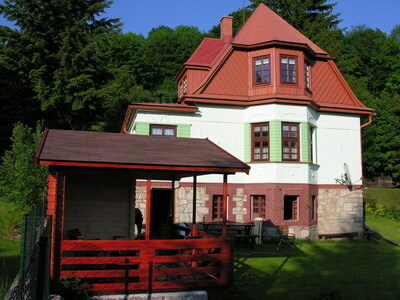 The windows are beautiful views of the garden, to the town and to Black Mountain and Sněžka! 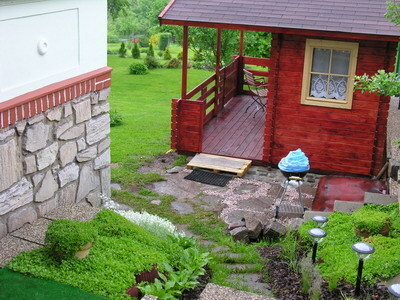 In the garden is a wooden gazebo to enjoy summer evenings. It features seating furniture, barbecue and charcoal. From the gazebo it is possible to get to the lower level where a games room (table football) and a washing machine. There is strictly no smoking! Pension has Wifi connection, which covers all the room and you can be online anywhere. On summer days swimming in a nearby pool. 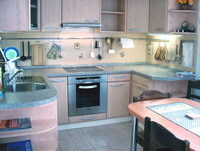 The basis of the house is fully equipped kitchen with dining table for all occasions.